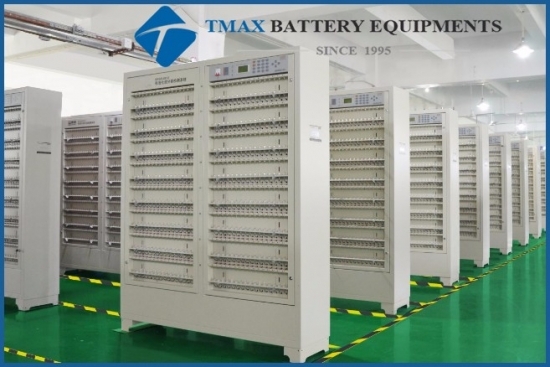 Lithium Polymer Battery Capacity Analyzer With High Quality For Sale,manufacturers,suppliers-Tmax Battery Equipments Limited. This equipment is mainly composed by the computer system, communication interface, control software and battery detecting cabinet. Battery detecting cabinet comprises a fixture and places the plate body of the fixture, charging, constant current and constant voltage source discharge constant current source, storage control circuit, voltage sampling circuit, current sampling circuit, data memory, the main control CPU, microcontroller programming and control panel. 1. each battery test station has independent constant current and constant voltage power. 2. specially used for chemical and capacity separation of polymer lithium ion batteries. 4. device can control center by using P89C668 single chip computer, device can control by upper computer or break away it with the external sampling circuit to complete constant current constant voltage charging, constant current discharge test, capacity sorting work. 0-1 mA, 0-10 mA, 0-300 mA, 0-2 A, 0- 3 A, 0-5A, 0-20 A, 0-30 A, etc. 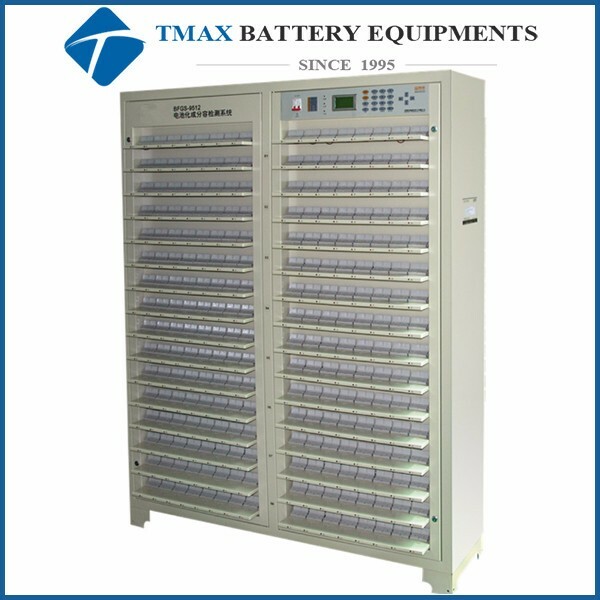 0-5 V, 0-10 V, 0-20 V, 0-30 V, 0-50 V, 0-60 V, 0-150 V, 0-300 V, 0-500 V, etc.